are four relatively simple molecules.  If necessary, click Reset. selected. Check that Description is turned on. sunlight into chemical energy that the plant can use. 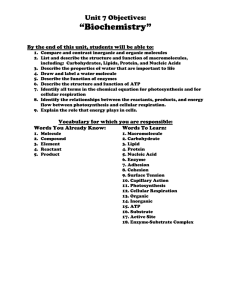 Question: What are the inputs and outputs of photosynthesis? (ingredients) in photosynthesis? Which do you think are outputs? PHOTOSYNTHESIS pane. If a molecule is an input, it will stay in the chloroplast. 3. Observe: Click Add light and look at the Output. 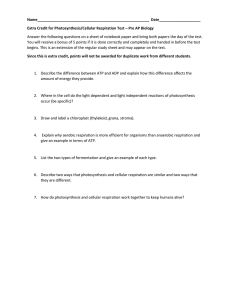 What are the outputs of photosynthesis? be summarized by a simplified formula that shows inputs on the left and outputs on the right. number of carbon, oxygen, and hydrogen atoms on each side of the arrow. the balanced formula below, and then check your work by clicking Balance.  Select the RESPIRATION tab. mitochondria.) The Gizmo shows a mitochondrion surrounded by yellow cytoplasm. 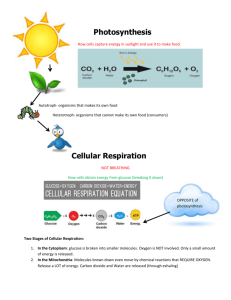 Question: What are the inputs and outputs of cellular respiration? (ingredients) in cellular respiration? Which do you think are outputs? 2. Explore: Drag each molecule from the MOLECULES pane to the RESPIRATION pane. molecules. Energy is later released when ATP molecules are broken down. are produced for every two molecules of pyruvate. oxygen, while the aerobic phase does. Where does each phase take place? 7. 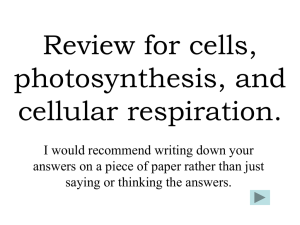 Summarize: Based on what you have seen, write a simplified formula for cellular respiration. same number of carbon, oxygen, and hydrogen atoms on each side of the arrow. about 28 to 30 ATP molecules. 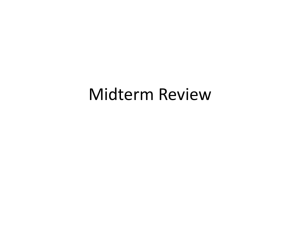 How does this compare to the energy released in glycolysis?  Select the CYCLE tab. 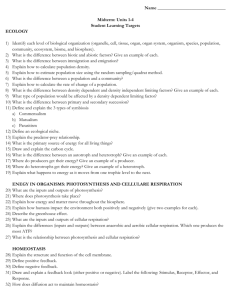 Question: How is photosynthesis related to cellular respiration? 1. 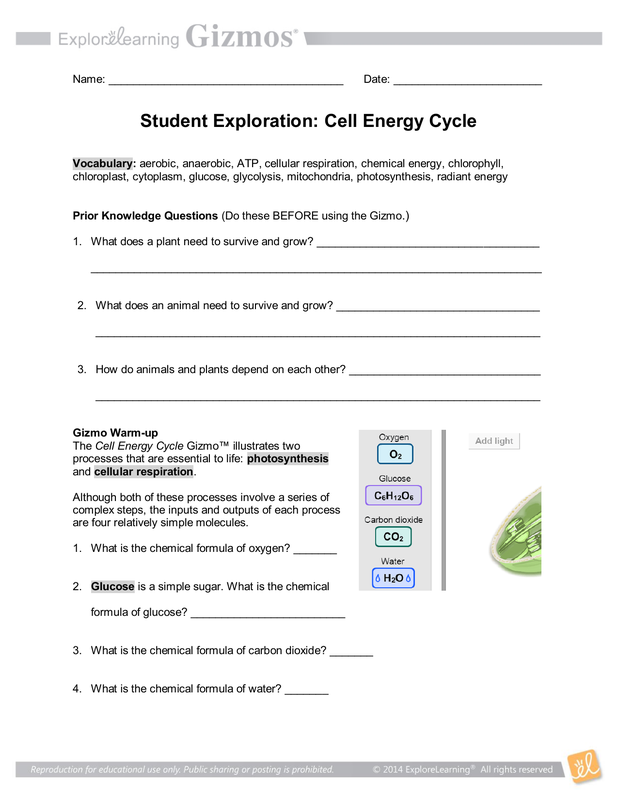 Form a hypothesis: How do you think photosynthesis is related to cellular respiration? processes. Each red arrow connects a set of inputs to the outputs of the reaction. A. 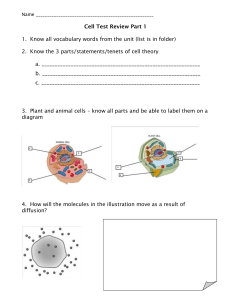 Which molecules would you expect to find at the top of the diagram? Explain. B. Which molecules would you expect to find at the bottom of the diagram? Explain. 3. 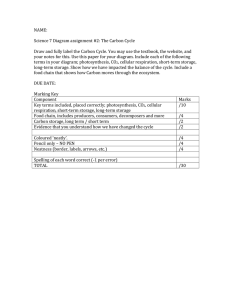 Observe: Drag the Oxygen, Glucose, Carbon dioxide, and Water into the CYCLE pane. 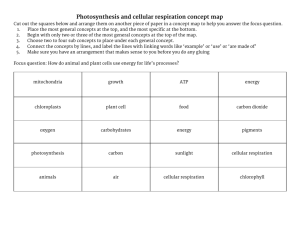 5. Review: In photosynthesis and respiration, energy is converted from one form to another. Light is a form of radiant energy. Glucose and ATP molecules store chemical energy. 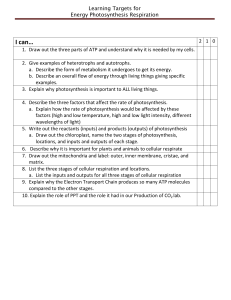 C. Does cellular respiration result in a net input of energy or a net output of energy? 7. Think and discuss: In what ways are plants and animals dependent on each other?